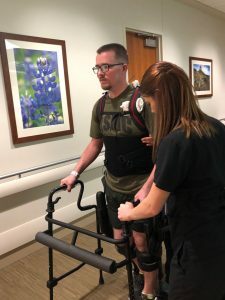 STAMFORD, Conn., Jan. 10, 2018 (GLOBE NEWSWIRE) — SoldierStrong, a nonprofit organization dedicated to providing advanced medical technologies to veterans, today announced that it will be donating an EksoGT™ exoskeleton to the Audie L. Murphy VA Hospital in the South Texas Veterans Health Care System. The donation ceremony, which will include a patient demonstration, will take place at the center on Wednesday, January 10th at 10 a.m. 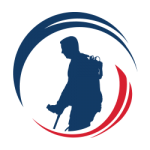 Since the nonprofit’s inception following the events of 9/11, SoldierStrong has now surpassed over $2.5 million worth of medical devices in donations that directly help injured veterans. This donation marks the organization’s 15th exoskeleton donation, and 12th exoskeleton donation to the VA system. The EksoGT, by Ekso Bionics®, is the first and only exoskeleton cleared by the FDA for use with stroke and spinal cord injuries from L5 to C7. The suit’s patented technology provides the ability to mobilize patients earlier, more frequently and with a greater number of high intensity steps. 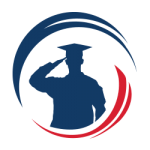 South Texas Veterans Health Care System (STVHCS) is comprised of two inpatient campuses: the Audie L. Murphy Memorial Veterans Hospital in San Antonio and the Kerrville VA Hospital in Kerrville, Texas. STVHCS serves one of the largest primary service areas in the nation and provides health care services for 96,000 unique Veterans. The Audie L. Murphy Memorial Veterans Hospital (ALMMVH), named after the nation’s most decorated World War II hero, is a quaternary care facility, which is affiliated with the University of Texas Health Science Center at San Antonio (UTHSCSA). Comprehensive health care is provided through acute medical, surgical, mental health, physical medicine and rehabilitation, geriatric, and primary care services. 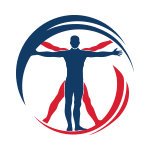 Comprised of a Spinal Cord Injury Center, a Community Living Center, a Domiciliary, and a Substance Abuse Residential Rehabilitation Treatment Program (SARRTP). ALMMVH provides quaternary services including bone marrow transplantation, open-heart surgery, magnetic resonance imaging and positron emission tomography. As a Level II Research facility ALMMVH has projects that include aging, cardiac surgery, cancer, diabetes and HIV. The facility has one of three National Institutes of Health sponsored clinical research centers in the VA. In addition, the Geriatric Research, Education & Clinical Center (GRECC) is a “Center of Excellence.” For more information, visit http://www.southtexas.va.gov/about/index.asp.